I couldn't believe how lucky we got photographing the bride and groom after the ceremony. 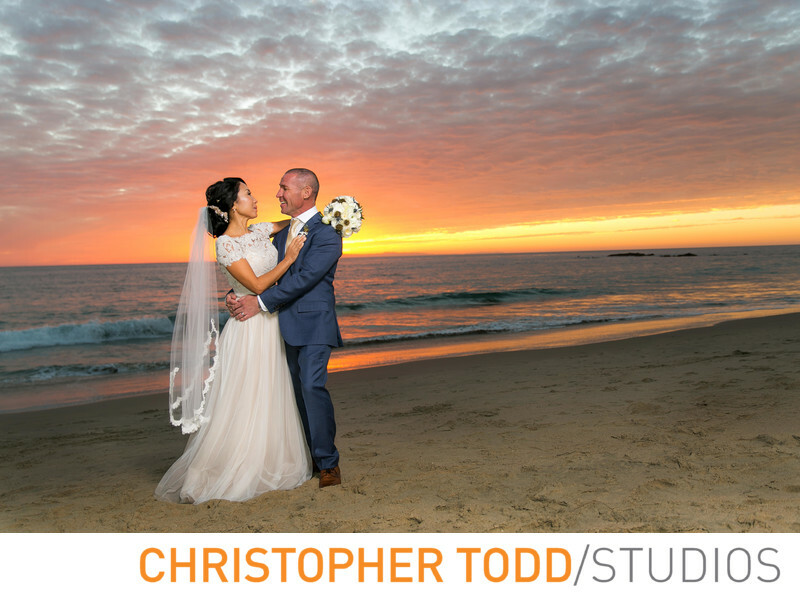 This sunset shot at Surf and Sand Resort was incredible. The couple and I went down to the water and we got this amazing California sunset photo. This portrait of the bride and groom is going to look so good in their custom wedding album. After the sun went down we went back up to the reception and the couple cut the cake and enjoyed some more dancing on the terrace. 1/200; f/2.8; ISO 160; 28.0 mm.